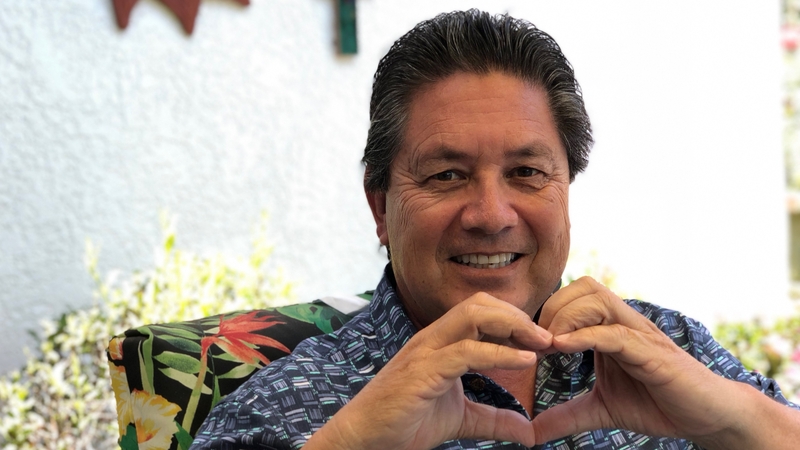 Phil Alvarado is the former Superintendent of the Santa Maria Bonita School District (a Kindergarten–8th grade school district in Santa Maria, CA). He is also a trustee of the Santa Barbara Foundation, which has funded Atlas of Caregiving’s work in the region. Phil: The experience has evolved. In its initial stage, it was something that wasn’t really viewed in my eyes as caregiving. My father passed away when I was 7 years old. My mother never remarried. Growing up our core family unit consisted of my older brother, my mom and myself. We learned at a young age the importance of staying physically connected and in close proximity to mom. For the past 31 years, my mother has lived with my wife and me. At the time, both our daughters were young children. In fact, mom had a huge part in raising all four of her grandchildren. They have a bond with her that is beyond being special, it is beautifully unique. In many ways she served as our caregiver, allowing us to provide for our family and pursue our careers! It hasn’t been until recently that I have viewed my mother as finally aging. Up until two years ago her physical ability and energy level were equal to a healthy person half her age. It’s been a very, very big adjustment for all of the family. Are other family members involved? My brother lives out of the country. Despite the distance, he makes it a point to call her every day. Hearing his voice in the morning settles our mom into her routine that is so important. My wife comes from a family of four sisters, and two of them live in Santa Maria. My mom views them as her kids also. We also have close friends, relatives including her brother and sister-in-law who add to our caregiver family. People really enjoy my mom’s company! My grandparents had a total of seven children. There are four remaining ranging from 96 to 88 years of age. My mom celebrated her 90th birthday this past March. The four surviving siblings live in Santa Maria. Until two years ago, they would visit every Saturday for conversation over lunch, coffee and dessert. This is a tradition that my grandparents established with them. This weekly gathering is embedded in our family culture for well over 70 years. It remains vitally important to their well being so we create opportunities to bring them together often. In terms of caring for your mom and her aunts and uncles, it seems it’s just the normal process of aging. It’s not been anything dramatic. Absolutely. They’ve been blessed with extremely good health. Any of my cousins would say the same thing. And that is, we could only be so fortunate to have the physical ability to do what they do and to have the mental capacity to think, react, and converse the way they do. I learned at a young age that I really connected well with kids. I started teaching at 22 years of age. I’ve been blessed to be part of this community since birth, and then working for the same school district for over 38 years. I retired three years ago. That career span included being hired in 1973, as an instructional aide, and then to a classroom teacher at the second, third, fourth and fifth grades, an Assistant Principal, Director of Curriculum and Instruction, Assistant Superintendent of Instruction, and the last six years of my career as the Superintendent of the district. It truly went by with a blink. So the whole gamut of roles within a K-8 school district? Yes. Right from managing a classroom of students on a daily basis, to running a site of 600 to 700 students, and, at the last step, overseeing over 16,000 students and over 1,000 employees. How has that deep experience with kids and running a large organization shown up in what you do in caring for your family? It’s had a huge impact. It’s given me a lot of confidence to carry on the role as a caregiver for mom, and for my aunts and uncle. They need to have a place, a sense of security, that make the latter stages of their lives comfortable. I’ve never left the community. So I’ve seen it evolve. I’ve seen Santa Maria grow as a city from 25,000 people, to a population today of over 110,000. I’ve seen the families change over time. I don’t say this in a boisterous way, because I don’t think it’s that, but I know this town. I know the people. I know what our families have gone through. I know the challenges that have spurted and sparked, and the trends that have been set. It’s just one where, when speaking of caring for people, there’s always something that needs to be tended to. Not necessarily a crisis, but tended to. To what extent has having this rich family experience impacted your professional work? Engagement is not limited to students. Engagement becomes so much richer when it includes families, the school community and the community-at-large. That’s one of the things that I stress a lot to people who are interested in getting into administration. Our job has evolved to the education of the entire family. When I started teaching, 80 to 90 percent of your focus as a teacher was the student. But that’s changed. As has the definition of family, as multigenerational households have come into play, or single parents, or someone who’s homeless, or whatever the case may be. My former job, and what I still do in the community, always has this at its core — you don’t, or you can’t, just focus on a targeted group, without bringing in the peripheral folks. Because they’re part of the equation too. Accept it and embrace it. There are times when it’s challenging, whether there is a need for more privacy, finding care, shortening trips, scheduling appointments, and the multitude of everyday issues that arise and have to be handled swiftly. As the caregiver there are highs and lows. Accepting and embracing the responsibility helps you recover from difficult times and get back to the task of caring for your loved one. As a caregiver I believe it is critical that we ask ourselves what is the desired outcome in our role as a caregiver? For me it is to be able to say it is an honor to be part of my mom’s final stage in life and with her support system, we did all that we could to maintain love and care at the highest level possible. And I tell people that. I tell people you want to make sure that you spend enough time, with whoever the person is who you love and care for, that if in fact the end is near, that you will walk away saying what a wonderful life, what a wonderful experience. And if I could only live it exactly the same again, I’d do it in a heartbeat. So it’s not science, it’s not really difficult; it’s just based on caring and loving people. I can’t end this without asking you to comment on your recent appreciation of your grandson as a caregiver. I actually have you to thank for that. There are a lot of people who come in and out of our home. We socialize a lot, and my mom is part of that. She’ll sit with us, eat and greet everyone in her own special way before she heads to her bedroom for the evening. She is “Nana Carmen” to everyone who comes to our home! But five years ago, my oldest daughter blessed us with a grandson. And it’s just absolutely amazing to see what he does for my mom. He spends every Wednesday night with us. When he gets here, he runs over to her and stands next to her. He knows the routine. He leans toward her, and she smells him and she touches his hair and his arms, and he sits and visits with her for a while, and they chat and then he runs off and does what he’s wanting to do other than that. And she’s so satisfied. It brings a revitalization of life. Our grandson has taught us so much. His role as a caregiver and the joy he brings my mom cannot be expressed in words. There is no doubt he serves as a catalyst and sparks much of her continued good health and mental well being. It’s a beautiful thing to witness. My wife and I have learned so much about life in caring for my mom for over thirty years. It has been a beautiful evolution over time. We realize she has been integral in helping create her caregiving circle because she is such a beautiful human being. All of us in her caregiving family know that we will remain constant with her care because her love for us is the origin of what brought us all together!